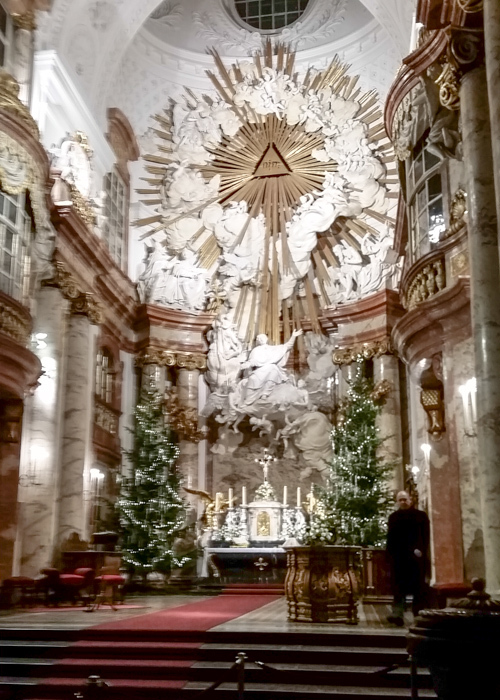 This is Karlskirche in Vienna (in January). The “Karl” here is Saint Charles Borromeo. In this detail, you can see an inscription reading “Vota mea reddam in conspectu timentium Deum” which is the second half of this verse: “From thee comes my praise in the great congregation; my vows I will pay before those who fear him.” Ps. 22:25. 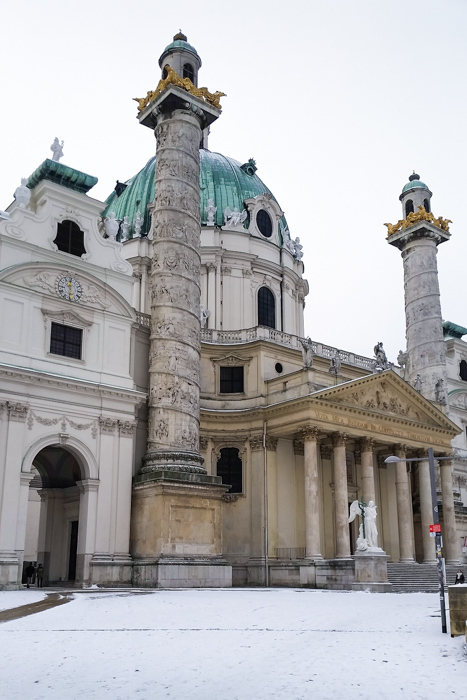 This entry was posted in Church Architecture and tagged baroque, Karlskirche, Saint Charles Borromeo, Vienna on April 11, 2015 by frjfkauffmann. The Camino posts are collected here.